The MS Hanseatic is a purpose-built luxury expedition ship with ice-strengthened hull. Adventurers sailing on board the Hanseatic enjoy a full expedition experience with zodiac cruising and landings, but always return to the highest standards of comfort and service. The Hanseatic is a five-star, purpose built expedition ship offering exceptional comfort combined with a superb personal atmosphere on board. If the ship was full, there would be a maximum of 184 passengers on board, however, in practice, this rarely happens. Nevertheless, there is always a feeling of space aboard the Hanseatic with spacious cabins and suites and large open areas. 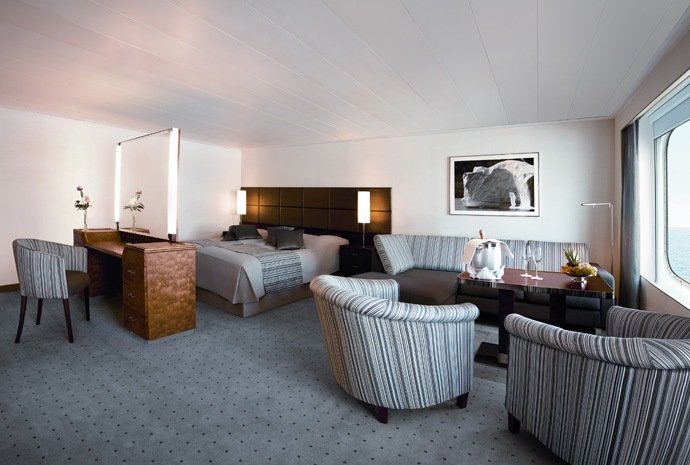 All cabins and suites on board the Hanseatic have windows allowing ocean or scenic views. There are is also a minibar, TV monitor with on-demand entertainment and luxury towels and linen. Room service is available in all cabins and a butler service for occupants of suites. 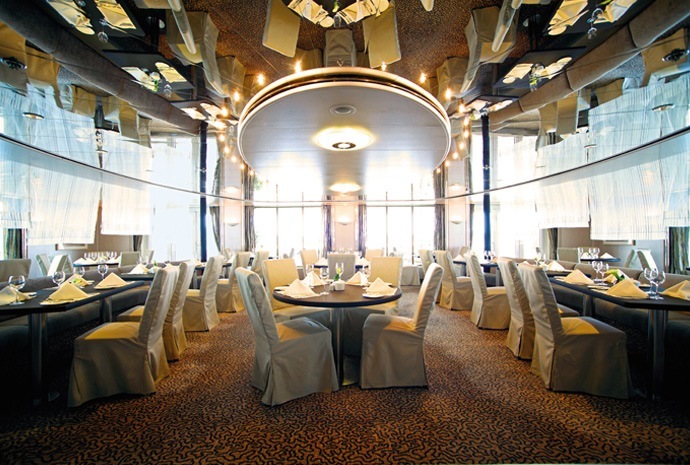 Wi-fi is available in most parts of the ship.Meals are taken in the main dining room where elegant crockery and cutlery complements beautifully presented and appetising meals. Silver service is available at all meal times, although there is also the option take informal, buffet style breakfasts and lunches in the lounge or even out on deck in good weather conditions. The Hanseatic also features a traditional Viennese tea-time with sachertorte and pastries. 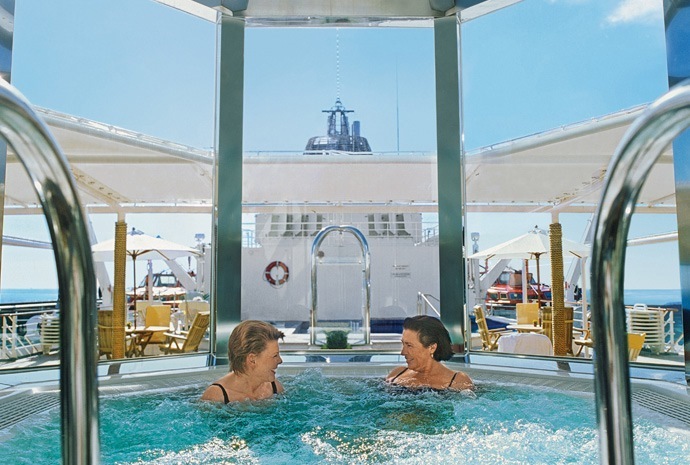 There is a spa and beauty parlour on board the Hanseatic, along with a gym and sauna. There is also plenty of deck space for enjoying the outdoors. 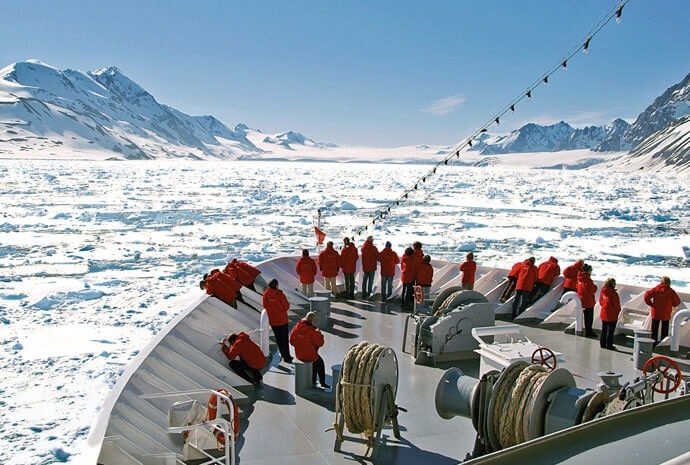 A team of experts in a variety of subjects such as natural history, marine biology, geology and history give informative lectures whilst at sea and in the evening and also travel on the zodiacs when cruising amongst the ice or landing ashore. Otherwise, entertainment on the Hanseatic is limited to a pianist playing in the lounge in the evening. The Hanseatic is suitable for travellers of any age, however most on board tend to be in the 50+ age-group, active and seeking authentic expedition experiences without compromising high levels of comfort.